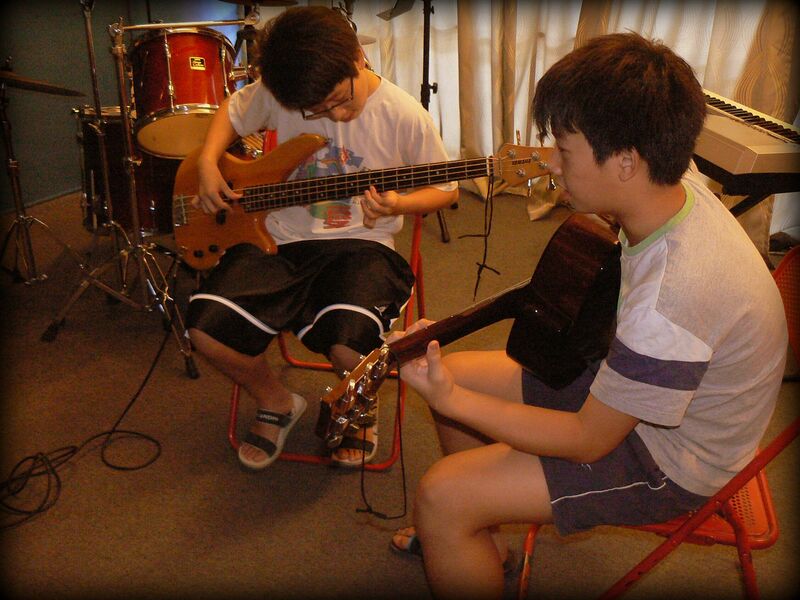 In level 1, you will learn how to play open chords, strumming & plucking, basic music theory & popular songs. In level 2, you will now be taught barre chords, family chords, transposing and how to use a guitar capo. In Level 3, we teach you extended/alternate chords, advanced strumming styles & patterns, tabs, music theory and alternate tunings. Classes are offered as both individual and group lessons. 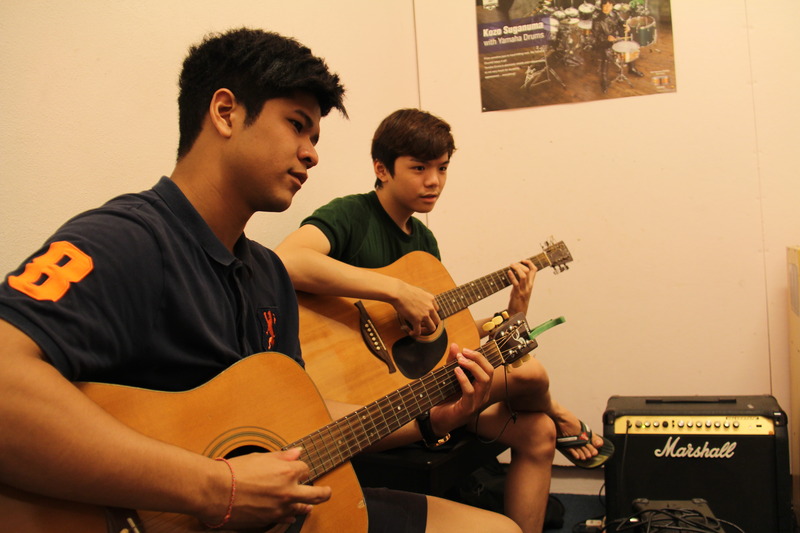 In level 1, you will learn how to play open chords, barre chords, power chords, and triads. You will also learn scales and arpeggios to perform simple solos along with specific guitar techniques. Next in level 2, we continue with extended chords, advanced power chords, improvisation, double notes, harmonisation, more scales and techniques. In level 3, we teach you alternate tunings, tapping, harmonics, sweep picking, spped picking and more advanced guitar techniques. Classes are offered as both individual and group lessons. 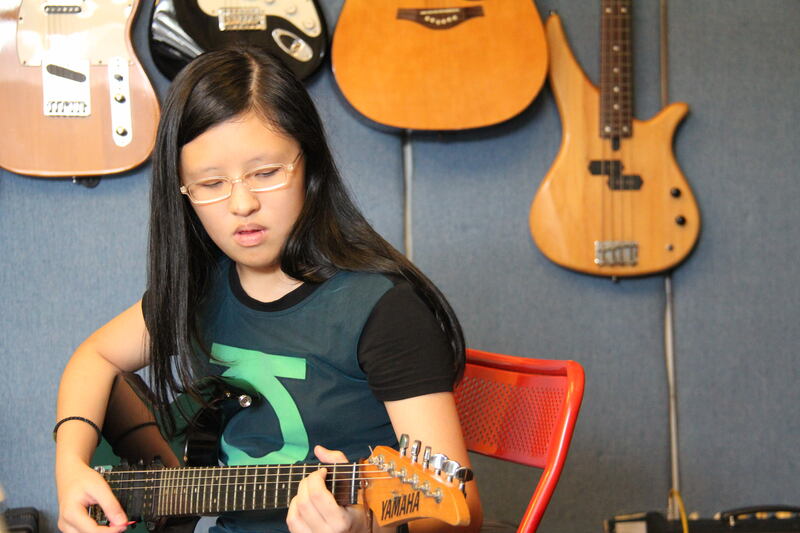 Level 1 focuses on basic open & fretted notes, basic rhythms patterns, music theory, scales & arpeggios and bass guitar techniques. Level 2 continues with the slap and pop technique, improvisation, syncopation, major and minor scales, modes and the use of bass effects. In Level 3, you will learn about bass chords, finger tapping, harmonics, modes and altered scales and advanced arpeggios. Classes are offered as both individual and group lessons. Our ukulele course is a short term course open to everyone of all ages. If you've always wanted to play the guitar, the ukulele would be a great place to start. And if you've been playing the guitar for a while now, the ukulele would be a perfect instrument to continue with. Classes are offered as both individual and group lessons.